When his mother bought a goldfish in a bowl at a carnival, a young Isaac Ramirez found his future. “I went back the next day and got a couple more and I was hooked.” Beginning with that day, his youthful curiosity grew into a hobby and eventually his livelihood. 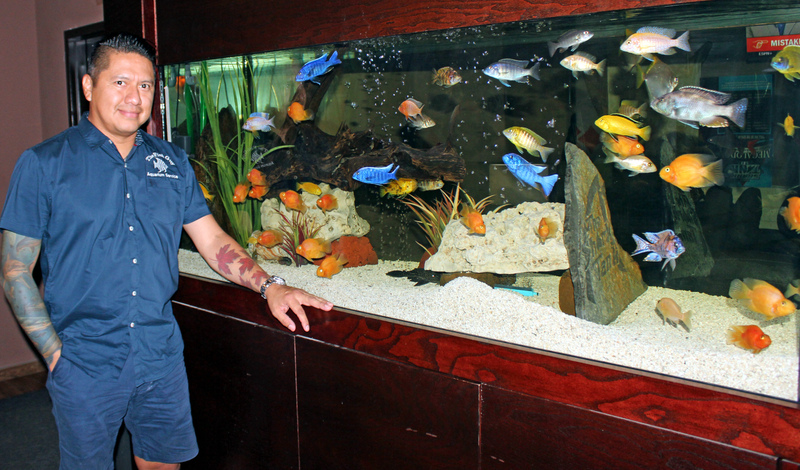 With as many as seven aquariums in his home at one time, hobby aquarist Ramirez was making his living as a restaurant server. Word spread about his avocation and people began calling for advice on starting and maintaining aquariums, which inspired him to launch his business in 1997. Doing business as The Fish Guy, Ramirez and his wife officially became entrepreneurs in 1997. He hustled jobs designing, installing and maintaining aquariums while his wife handled the administrative and financial end of the enterprise. 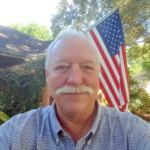 His first big commercial job was an aquarium he installed at San Benito Bank and Trust, a public venue that generated interest – and more jobs. “Since then it’s been all word of mouth that built the business,” he said. Following her death in 2012, Ramirez regrouped and took over the office chores, adding an employee to help him make service and maintenance calls. He lives in Brownsville but routinely travels the Valley as The Fish Guy. About half of the aquariums he works with are in private homes and the other half in businesses. Sometimes his customers have tanks in both places. 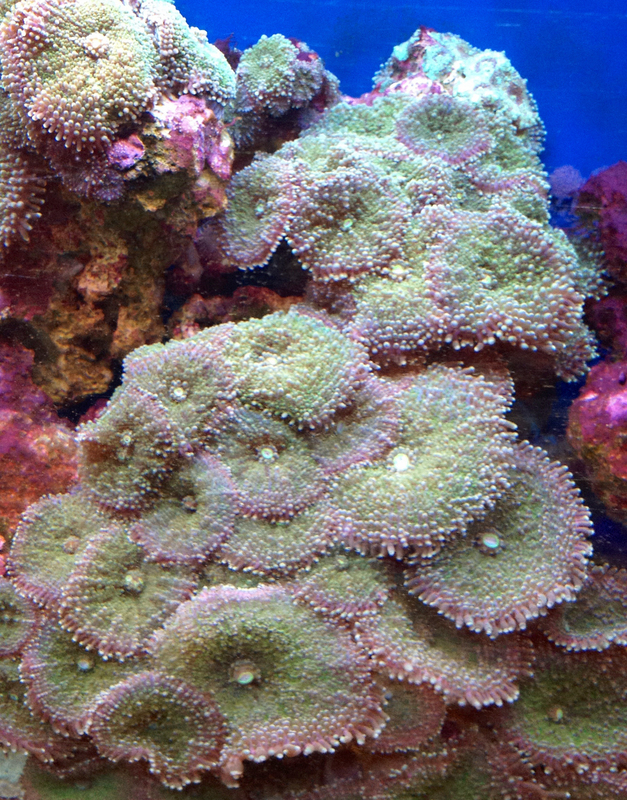 Among the marine life Ramirez includes in saltwater tanks is live rock, underwater plants or coral attached to rock formations. That can be an environmentally sensitive subject because over-harvesting from oceans has harmed coral reefs around the world, Ramirez said. The Fish Guy uses only marine plant life that has been cultivated in captivity to decorate his aquariums. The Fish Guy has installed at least 200 aquariums in the Valley and services about 90 tanks a month with regular visits. Perhaps the biggest challenge he has faced was moving two 75-gallon saltwater aquariums and their inhabitants from the Valley to Corpus Christi. The owner relocated for her job in the seafood processing industry and wanted to take the aquariums. Ramirez devised a plan to dismantle the tanks and reassemble them in a truck for the drive north. Then the process was reversed to place the tanks in their new home. “That was a nerve-wracking process but we made it and everything survived,” he said.